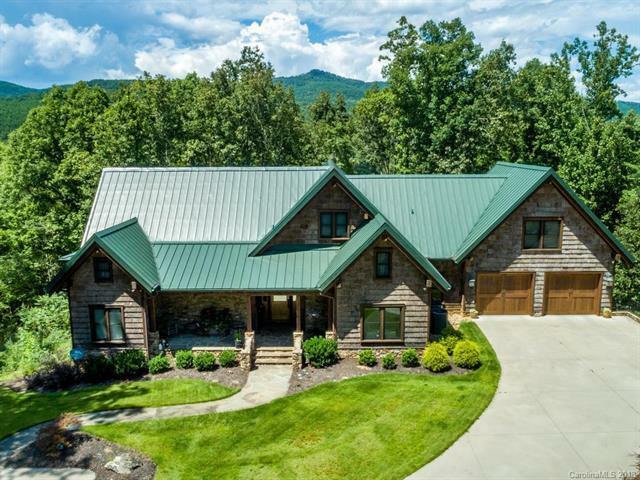 Custom home by master builder Morris Smith, this impressive post and beam residence sheathed in poplar bark siding and natural stone creates rustic elegance without the upkeep of a log home. 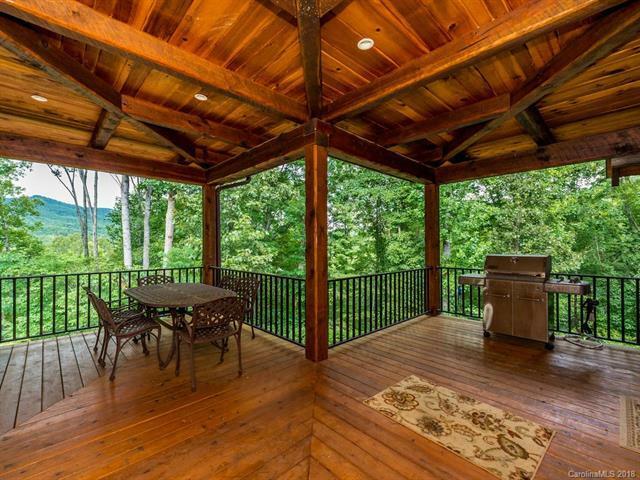 Soaring 25 cathedral ceilings and floor-to-ceiling windows open to 1,000+ sq ft deck & mountain vistas. 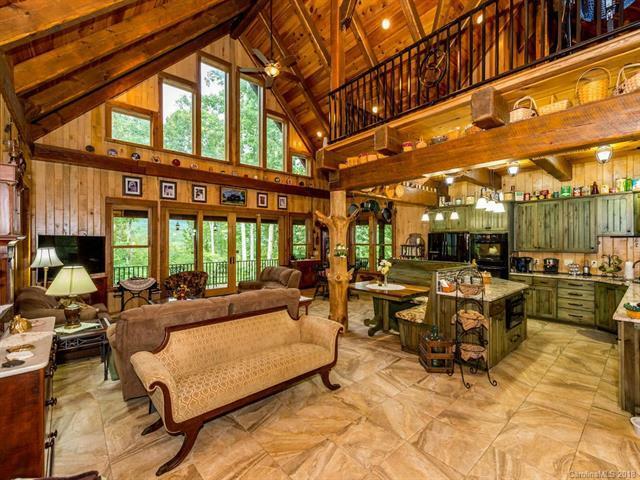 Hand-hewn beams; tongue and groove ceilings and custom woodwork throughout create a magnificent treehouse feel. 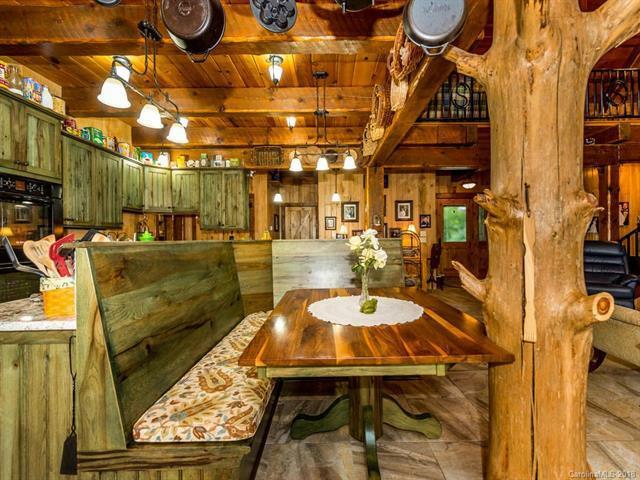 Open floor plan; granite counters, custom cabinets & wood dining booth adorned by a unique tree post. Fabulous in the forest feel bathrooms. 3 levels of living space with kitchen amenities and full baths on each level for convenience. Extra spacious rooms all bedrooms more than 19ft wide. Giant pantry/laundry room with built-ins. Lower level with wet bar, 2nd full kitchen, craft room, exercise room & bedroom en suite. Radiant heat floors on 2 levels. Irrigation, central vac, generator. Less than an hour to Asheville; 30 mins to Tryon International Equestrian. The data relating to real estate on this Web site derive in part from the Carolina Multiple Listing Services, Inc. IDX program. Brokers make an effort to deliver accurate information, but buyers should independently verify any information on which they will rely in a transaction. All properties are subject to prior sale, change or withdrawal. Neither Andy Bovender Team nor any listing broker shall be responsible for any typographical errors, misinformation, or misprints, and they shall be held totally harmless from any damages arising from reliance upon this data. This data is provided exclusively for consumers' personal, non-commercial use and may not be used for any purpose other than to identify prospective properties they may be interested in purchasing. © 2019 Carolina Multiple Listing Services, Inc. Data last updated 2019-04-26T11:59:14.647.